Rebecca Saunders turned 50 towards the end of last year, so to mark this milestone the 5:4 Lent Series will this year be dedicated to her music. Over the course of the next six weeks, i’ll be looking at a number of her pieces in some detail, as well as providing a survey of her work as represented by CDs and downloads. Although Saunders is British born, her music is neglected in the UK; with the exception of Huddersfield, which has consistently provided a platform for her, performances in Britain are infrequent, and premières – notwithstanding last month’s at the Wigmore Hall, a real rarity – are virtually non-existent. It’s perhaps not surprising that Saunders’ music should be better known on the continent, particularly in Germany where she has long resided, but it’s disappointing (though not surprising) that one of the UK’s most renowned and radical compositional figures should be so ignored on her home turf. Furthermore, there has been relatively little serious discussion of her work, so my hope is that this series can go some way to improving that situation. i’m going to begin with traces, a work that originally dates back to 2006 but was revised in 2009, a process that bumped it up from being for chamber to symphony orchestra. One reasonably expects different performances of the same piece to shed new light and tease out extra details, but in the case of traces that’s true to a surprising degree. i first got to know the piece from the UK première at the 2009 Proms, but some time after i heard a broadcast of the Austrian première and realised i hadn’t really got to know it at all, as it sounded so different. More recently, there was a third opportunity to hear the work when it was performed in Glasgow in 2015 (possibly the Scottish première), which only confirmed the fact that there’s something about traces that makes it seem almost entirely reinvented with each new performance – or, and this is perhaps more pertinent, that there’s something akin to a game of Chinese whispers going on. 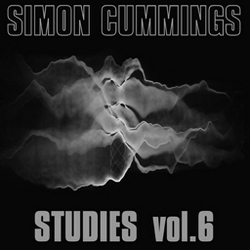 At a more fundamental level, of course, there are constants: traces is structured in three movements, the first and last both very short – Saunders has described them as “moments of shadow” – with the bulk of its 16-minute duration occupying the middle movement (structurally, it’s not unlike a Renaissance altarpiece triptych). The other constant is the work’s distinct musical behaviour, which is not so much allusive as elusive, a paradoxical exercise in the most vivid, strenuous ambiguity. Put another way, one can hear throughout traces the attempt to capture or resolve something nebulous. The first movement, which also acts as a paradigm of the piece as a whole, provides an example of this, low double bass grindings being ‘expanded’ by the rest of the orchestra – most strikingly by string harmonics and accordion – and given tiny quantities of momentum and focus through firm percussion accents. What clarity there is in this section – and it’s worth bearing in mind the indication in the score, ‘freely flowing in silence’ – is minimal, starting out as a literal ‘trace’ of something distant that can only be perceived better as it gradually draws closer. Another way this opening movement is paradigmatic is in its emphasis on extremely low registers as the starting point for pretty much everything; this is reinforced by having the double basses detune their lowest strings down to low G♭(! ), creating an extraordinary effect, especially when played loudly. The emphasis on polarised registers demonstrated here in the strings is one of several extreme contrasts heard throughout the piece. If the first movement suggests an attempt to enhance or capture a trace through simple proximity, the second movement opts for an altogether more doggedly, even aggressively, persistent approach. That low G♭ in the basses, hinted at previously as the ‘source’ of whatever traces are being detected, quickly becomes established as a cross between a fundamental and a thorn in the work’s side. Even at the start of this movement there’s the suggestion that all hell is about to break loose, first due to savage accents that sound catalytic, then through ominous slow crescendos and rumbling swells. However, the way Saunders articulates what follows is as a lengthy sequence – no, a barrage – of increasingly fraught attempts to grab hold and/or make sense of something that seems to be permanently slipping away. This isn’t just a compositional ‘effect’, there’s a real sense of Saunders actually fighting with the material, not even certain herself what it is she’s wrestling with. What is certain is the enormity of the effort going on to trace something concrete, though the way the orchestra becomes increasingly fixated around that G♭ – materialising and spreading like a virus in all octaves and registers like laser-burned tinnitus, becoming a focal point for microtonal smudges and smears – makes one wonder whether whatever ‘trace’ may once have been detected has now been lost and unwittingly replaced by the effort to rekindle and enormously amplify the memory of it, rather than grappling with something actual. This may account for the overwhelming air of encroaching catastrophe as the orchestra becomes climactically overwrought. That certainly seems to be borne out in the tiny third movement: 90 seconds of pure exhaustion, in which the only trace of anything now is the G♭, around which assorted instruments feebly and resignedly cluster. As with so much of Rebecca Saunders’ music, the intensity of its inner drama thrives on the fact that it doesn’t have a complex narrative but is instead focused on a single idea. That idea is then worried and worked upon at great length, making for an unusual listening experience where one simultaneously feels relatively clear about how what’s happening at any particular moment fits into the work’s larger behavioural attitude, yet remains completely uncertain about what may or may not happen in the next moment. 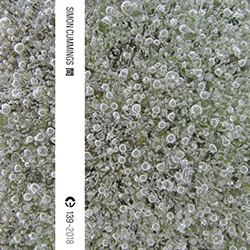 If it’s not too incongruous a connection to make, there’s a trace of Takemitsu – though of a more amorphous, monochromatic and apocalyptic persuasion, inhabiting not so much gardens as caverns, populated by ghosts rather than birds – in the musical environments Saunders creates, within which anything can happen yet whatever does sounds exactly right. i mentioned at the start the three performances through which i got to know this work. The world première of the revised version of traces was given on 26 August 2009 in Dresden, by the Staatskapelle Dresden (who commissioned the revision) conducted by Fabio Luisi who, a day later, gave the UK première at the Proms. Of the three, this performance is the most analytical, Luisi – perhaps not surprisingly, as it had only just received its first performance – attempting to deliver a meticulous, Boulez-like rendition of the piece. That attempt is somewhat marred by the broadcast, which obscures quite a lot of details – particularly the soft, lower register material – and as a result tends to distort the wide dynamic contrasts, making them all or nothing, but in spite of this it’s certainly involving in the second movement. The Glasgow performance, at City Halls on 26 November 2015, was by the BBC Scottish Symphony Orchestra conducted by Ilan Volkov, and is a great improvement in terms of clarity. There’s a passage around eleven minutes in when, in the Proms performance, it seems as though the strings are trying to make their pitches form into something bigger (not exactly a ‘melody’ but maybe the makings of one – which relates to another of the work’s extreme contrasts, between very short and sustained sounds), but the BBC SO make it clear that that’s not what’s happening here, those pitches aren’t connected and are an integral part of the bigger, gestural tutti texture. It’s unfortunate that the orchestra completely mucks up the start of the final movement (trumpets, i’m looking at you), but they manage to clean up the mess pretty quickly, and the shimmering near-unisons at the end are just lovely. The Austrian première took place at the Helmut List Halle on 10 October 2009, by the Vienna Radio Symphony Orchestra conducted by Peter Eötvös. This is the performance that i’ve returned to the most; not only is it by far the best of these three performances, it’s also the clearest of the three broadcasts. In fact, despite having the loudest background hiss, it’s one of the most vivid broadcast performances i’ve ever heard, which does a work like traces no end of favours. Every detail in the double basses – a network of soft quartertonal slip-slides and juddering – is now crystal clear, and their more violent gestures are truly heart-stopping, like hearing pieces of wood splintering in two. Everywhere, the tiny little details that make Saunders’ music sound the unique way it does can all be heard: soft clarinet pedals, far-off tam-tam strikes, various types of percussion mallet, as well as the distinct timbral strata that combine to form the work’s beautifully complex chords. But i love this performance for more than just its clarity. Saunders peppers the score with all manner of pauses and hiatuses, continually pushing and pulling at the work’s momentum, and Eötvös is the only one of the three who really gets this, heeding that opening instruction in the score (‘freely flowing’) and treating the music as though it’s made of elastic. When he holds back, ideas are allowed to just sit and resonate, heightening the moment-by-moment sense of cogitation and creative improvisation that runs throughout the piece; and when he doesn’t hold back, the level of violence he obtains from the orchestra is astounding, the music’s accents like suckerpunches to the face or firecrackers going off within the speakers, which only makes the wa-wa muted brass moments sound all the more despairing as a result. It’s an incredible performance of an incredible piece. Exactitude, from Six Memos for the Next Millennium, Italo Calvino. trace1 / treIs / v. & n. -v.tr. pursue one’s way along (a path). -n. a sign or mark; a vestige. (ME f. OF trace (n.) tracier (v.) f. L. tractus drawing). Die Welt und die Hose by Samuel Beckett, Suhrkamp Verlag. What luck! Thank you for this probing essay and especially for the Volkov and Eötvös recordings. As luck would have it I am doing this piece in Slovenia in May with the Slovenian RTV Orchestra (on a program with Leroux, Harvey and Castellarnau), so I am very grateful to read/hear this extra insight into the piece. Hopefully there will be another recording of the work to add to your collection later this year. And I absolutely can’t wait for other installments in this series. Such intense focus in English on her amazing work is long overdue. Thank you! Thanks for the kind words, Steven – i’ll be emailing you soon! Huge thanks for this Simon. My first encounter with her work was at HCMF a few years ago with Chroma which was performed at the Town Hall. I remember it vividly. Looking forward to rest of series. Many thanks for these recordings of the Saunders piece. I take it that the UK performances were sourced from Sky Digital broadcasts (the sound is very good). But what about the Vienna performance? Would it be possible for you to indicate the source of this broadcast? Hi Boom, yes Sky Digital for the UK performances. The Austrian première was shared with me by an online source, though i’m not sure whether they made the recording. The hiss suggests it was a recording from FM radio (old school style!) – but still with staggering levels of detail. They really should put this out on disc, as it’s amazingly good. Thank you for the info, Simon. I am afraid the difference in detail you attribute to the Vienna broadcast has nothing to do with performance. This broadcast had been subjected to very strong dynamic compression (like most FM broadcasts), and the difference between the softest and loudest sounds is about 9 db (150%) less than the virtually uncompressed UK broadcasts. The hiss you hear is a combination of FM static AND the hall ambient noise which have received tremendous boost in volume due to dynamic compression. Personally, I find your Sky Digital captures absolutely superb (I listen to a lot of live broadcasts from Europe and can compare). Once more, thank you for these. Neither Saunders nor Mark Andre (another one of my favorite German composers) get any performances in U.S., at least not by major orchestras. Which makes your offer a very special treat indeed! Their present quality of streams is 192 kbs VBR mp3.